Losing your phone. Not remembering the name of a person you’re sure you have met before. Mistaking today’s date with tomorrow’s. Could these be red flags of Alzheimer’s disease? Since June is recognized as Alzheimer’s Awareness Month, we at Compassionate Nursing Services, the Alzheimer’s care specialists in St. Louis, wanted to help you distinguish between some of the typical attributes of growing older, like minor lapse of memory, and those that may point to the risk of Alzheimer’s disease or another form of dementia. Short-Term Memory Loss. Although we all forget a meeting or a person’s name at times, the memory loss in Alzheimer’s is commonly focused mostly on short-term memories, with long-term memories continuing to be unimpaired into the later stages of the disease. One main warning sign is repeating speech – telling the same story over and over again. Mood Changes. 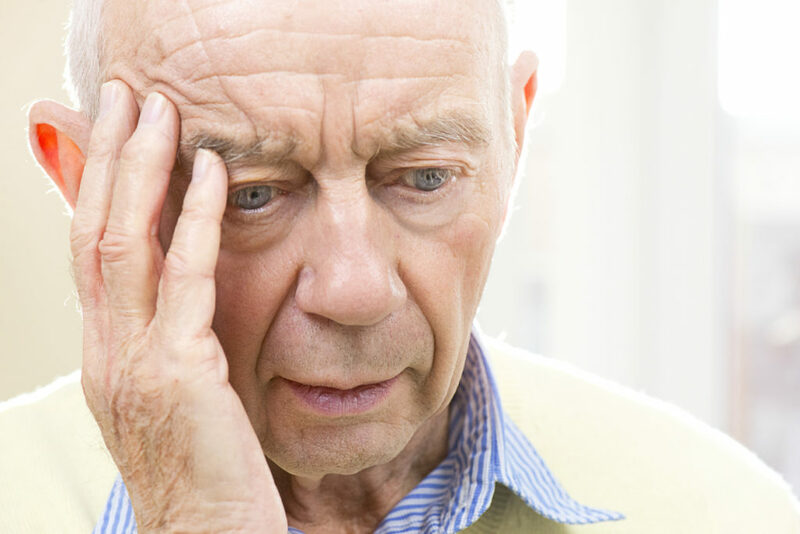 An older adult who has, for the most part, been optimistic and pleasant throughout his/her life may start to become depressed, suspicious, and anxious, especially when in new or different settings or situations. Problems with Routine Tasks. When an older adult has enjoyed a specific board game for years but suddenly is unable to remember the rules, is unsure how to operate a once-familiar dishwasher or washing machine, or can no longer follow the instructions to prepare a favorite meal, Alzheimer’s may be at play. When indicators of Alzheimer’s are suspected, it’s very important that an appointment be made with the senior’s doctor for further testing and to determine the best plan of treatment. If an Alzheimer’s diagnosis is identified, Compassionate Nursing Services of St. Louis can help. Our professionally trained dementia caregivers are on hand with expert, compassionate care to provide support with managing the more daunting aspects of the disease, working with families to allow for much-needed respite care. We help make sure that older adults with Alzheimer’s are safe and experiencing the highest possible quality of care at all times. Whether you need assistance with developing customized activities to enhance quality of life, or assistance with some of the more task-oriented aspects of care, such as meal preparation, housework, laundry, and errand-running, allowing you to spend more quality time with your loved one, you can count on Compassionate Nursing Services. Contact us any time at 314-432-4312 to learn more.